Posted in blog business, Press Sample	by Jessica W.
CrowsToes Nail Color Well, isn’t that just fu@#ing marble-ous for April Polish Pickup Pack. This is 2 easy coats plus matte top coat, then shiny top coat. This dries smoothly, so a smoothing top coat isn’t needed, I just wanted to see what it looked like matte. Formula was perfect for me, but I do prefer my polishes to be on the thicker rather than thinner side. The theme for April’s Polish Pickup is “space” and Lauri, Madame Crow, was inspired from the Men in Black movie; specifically the scene when the medical examiner discovers the Arquillian Galaxy spinning within the marble on Orions’ collar. This will be $12 and there will be no cap (or limit to how many polishes are available). Madame Crow describes this as a grayish navy base filled with assorted flakes and micro glitters. It definitely is a gray blue base, and I see violet, green, burnt orange, teal, light green/yellow. Plus it’s sparkly in the sun! 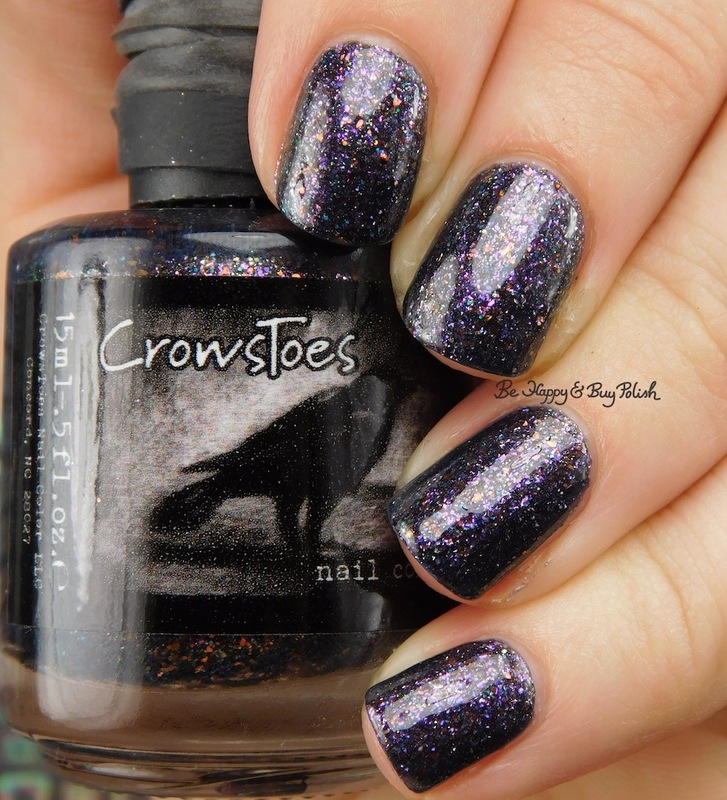 This is definitely one of my top CrowsToes polishes ever. If you are a CrowsToes fan (you are in the fan group, right? 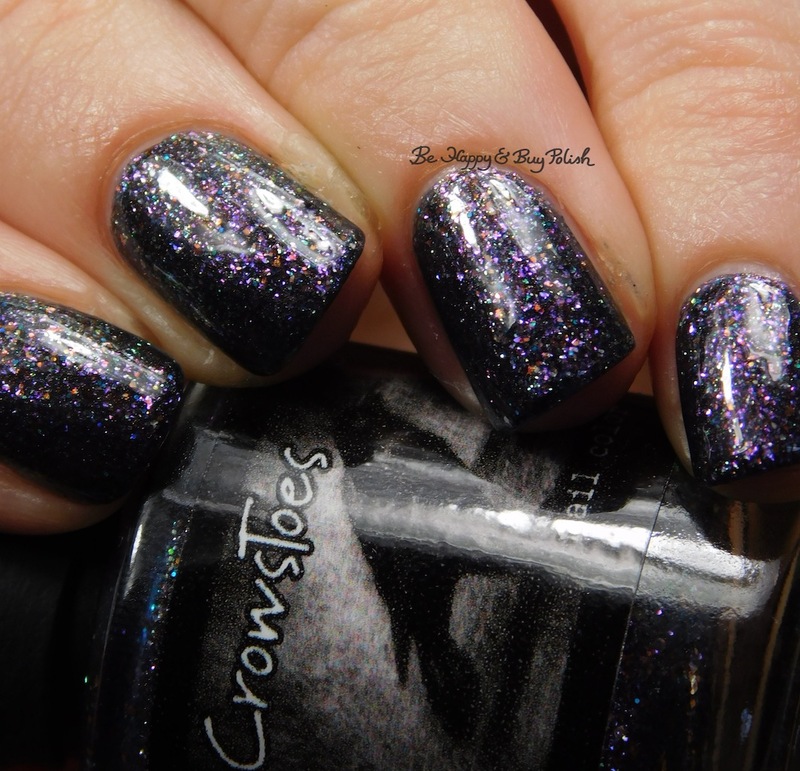 ), then this polish will make your dark little Crow heart happy for sure. She has such a way with dark colors, this is gorgeous and I really do see the galaxy on Orion’s belt. Isn’t it wonderful?? She nailed it. Oh man,I’m the same. I’m still trying to narrow my list down.